As first topic I want to talk about ... HAIR. A topic very dear to me, because lately I was losing a mountain of hair. The beginning of autumn, the stress and yes, the advancing age ;-) . With the right precautions, good products (one my last creation: DEMETRA vor shampoo packung ) and good nutrition, things are muuuuuuch better. So as promised we start! The hair is made up of very high percentages of proteins. Never heard about Keratin? it is the most famous of substances contained in the hair. More than half of the hair chemist are solid proteins, the other half is made of water and other substances. 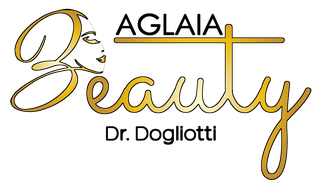 As the famous blogger ClioMakeUp says in an article, there are 12 different types of hair, the result of the numerous subgroups of the best known; straight hair, wavy hair and curly hair (1). Instead, making a slightly more trichological distinction, mainly there are 3 groups of hair, distinguishable between ethnic groups (2). the Indo-European group from the main characteristics of mostly smooth/wavy hair. and finally the Asian group with extremely straight hair. Do you find your hair dry and brittle? If you can try to stop doing aggressive treatments. Many procedures dry up the sebum and damage the hairs stem. Treat your hair gently when you wash and dry it. be gentle when you wash them and tamp them with a towel. Surely you would not scrub or wring your favourite dress like a towel, right?. Wash them with a delicate shampoo and gently massage the scalp. Allow the water to run for a few seconds before swabbing it with a towel. Do not shampoo every day, the scalp produces a greasy material called sebum, which protects the hair and prevents it from drying out. If you fear the roots appear to be fat remedy with a dry shampoo. You can buy it or do it at home by simply mixing 1 tablespoon of cornstarch and ½ tablespoon of baking soda. Sprinkle it on the oily spots, let it act for 5 minutes and comb the hair. The neutral-alkaline pH (max 7,5 of most shampoo) open the hairs cuticle, the ingredients of it can then enter and improve the hair quality, but, and here there is a big but, after it, you need to close the cuticle immediately. You need to do it with a SMALL amount of conditioner, not on the scalp and rinse it really well. 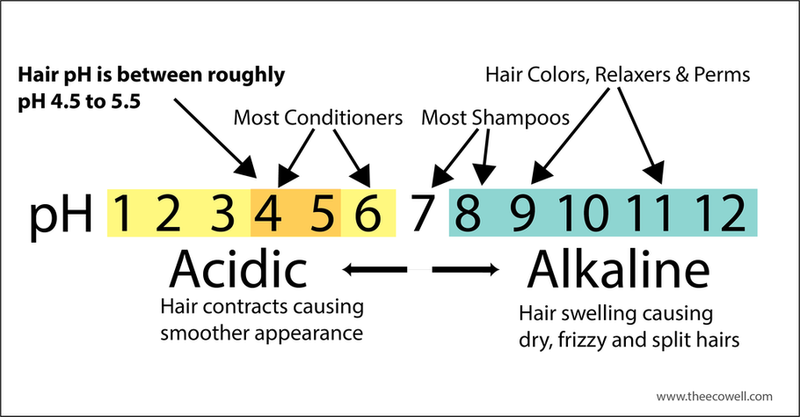 The normal hair pH is around 5, like the conditioner. With this pH, the hair cuticle is closed and the hair will be healthy and silky. You can buy a nutritious treatment (one like my oil 100% natural) or use simple products that you probably already have at home, such as coconut oil or olive oil. Do not do this treatment more than once a week, because exaggerating can ruin your hair. For dull hair you can use 1 tablespoon of honey or 1 white of egg. For frizzy hair you can use 1 banana or 1 avocado reduced to pulp. For dry hair you can use 1 tablespoon of milk or yogurt. The hair of African people could be frizzy and curly due to an evolutionary factor. Give protection from UV rays. 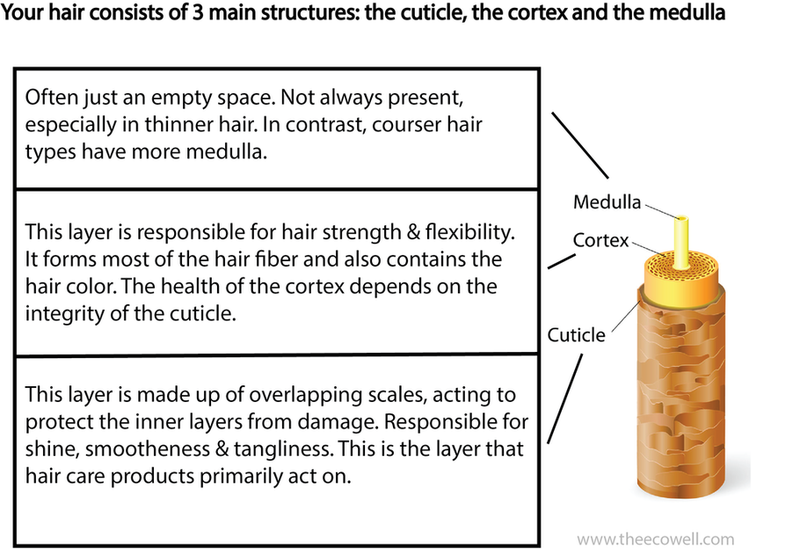 They are NOT penetrating rays, so when meeting a curly hair are not able to get to the scalp and damage the skin. While, the straight hair in the northern countries, could be so for the opposite reason to the above mentioned, and therefore allow the weak UV ray (compared to the equator) to pass. Thanks to its penetration, UV rays, can be able to fix the vitamin D. But there is also another theory, it says that the smooth hair stays longer and adheres to the neck, face and ears protecting them from the cold. The hair grows about one centimetre every month regardless of all the features mentioned. see you in the next BLOG and let your hair down!